A speaker in Book of Mormon times would have a hard time knowing if he gave a really good talk or a really boring talk since the result was often the same. 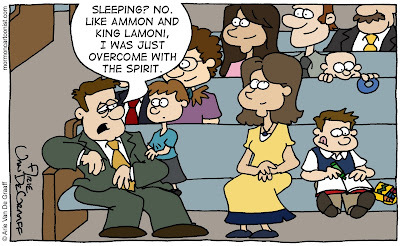 Consider all the examples of people overcome with the spirit and slipping into unconsciousness during the Sons of Mosiah's mission alone: there's Lamoni (twice), Lamoni's wife and servants, Lamoni's father, and Ammon (twice). It happened with such regularity that I'm sure in today's world, they'd check for carbon monoxide poisoning and narcolepsy. The trick is being able to sleep while on the stand and get away with it. 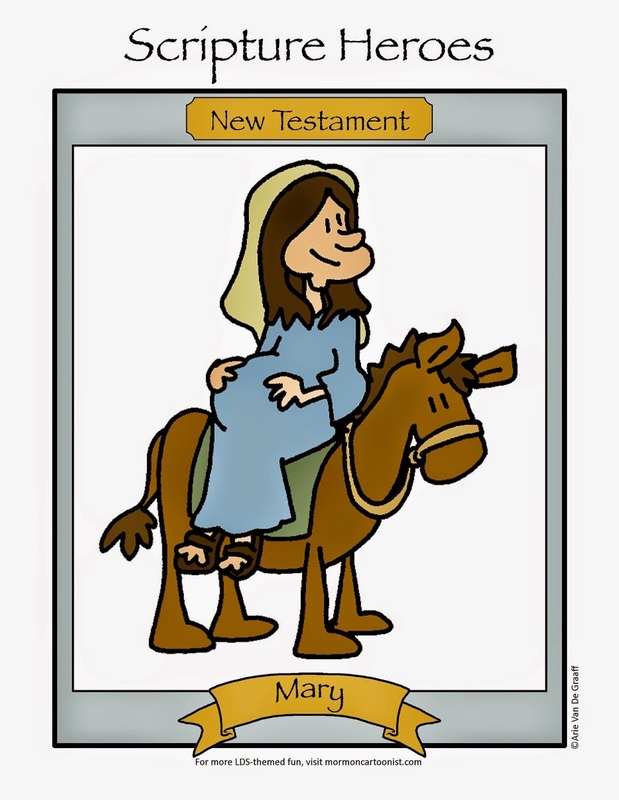 I think my dad had a great technique when he was bishop. You need to wear glasses for this to work. 1. make a habit of taking your glasses off and rubbing the bridge of your nose. 2. Start doing this when you are concentrating on something. 3. Once people get used to seeing you do the above, you can sleep and look like you are concentrating hard on the speaker. Just don't do the head bob thing when you are falling asleep. I have a friend who fell asleep right before he was called to a position during ward business. His wife had to wake him up so he could be sustained! Another thing they used to do a lot was "rent their coat in anger" I would like to see that happen today. Someone finds out that it's a 45 minute wait at their favorite restaurant and the tear their shirt off, fall to their knees, and scream. I guess that was socially acceptable back then.